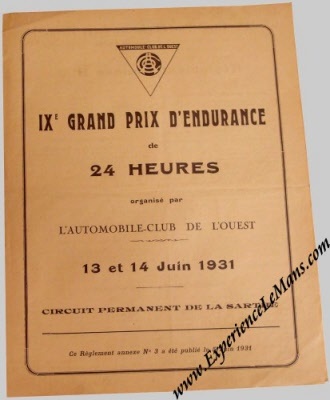 SPECTACULAR Vintage 1931 24 Hours of Le Mans Contender's Package. 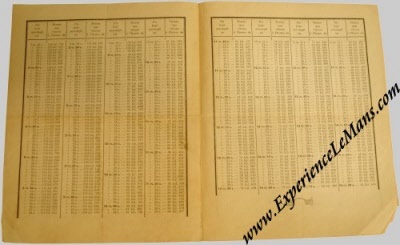 Extremely rare and basically museum material! This is a virtually complete package as you would have gotten for the 1931 24 Heures du Mans or 9th Grand Prix d'Endurance de 24 Heures Coupe Rudge-Whitworth as it was officially called back in 1931. Not exactly in dream condition but then again, it is over 80 years old and even rarer than the programme booklet for this year. 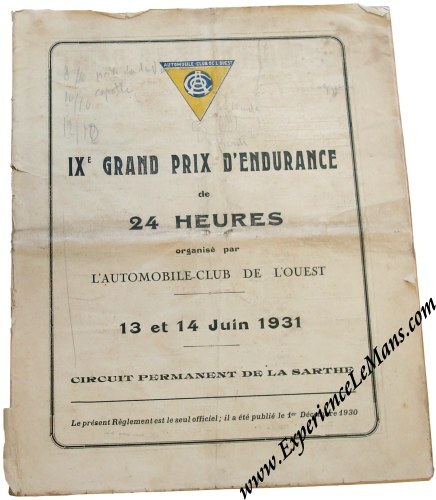 Although the exact provenance is unknown to us, we found notes, drawings and "greasy thumbprints" throughout this package that hint at some serious attempts to enter a car for this race. 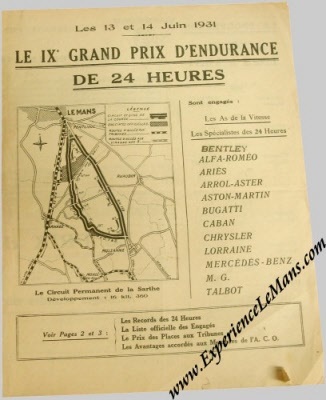 The race was won by Lord Howe and Tim Birkin in their Alfa Romeo 8C 2300 LM with a total of 3017 km to their name. 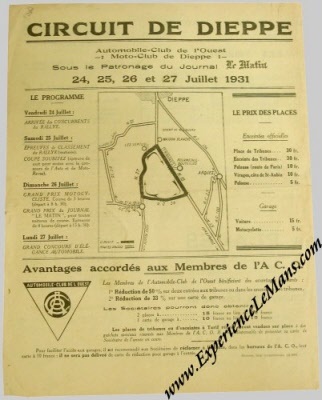 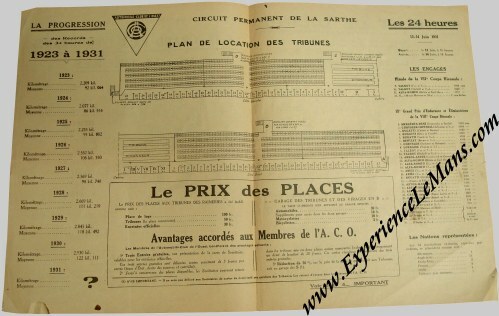 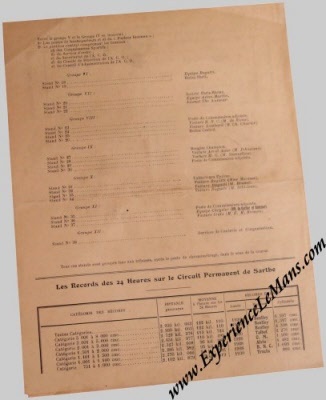 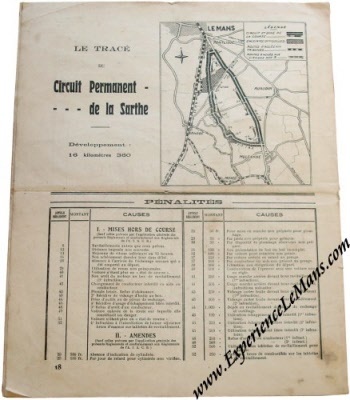 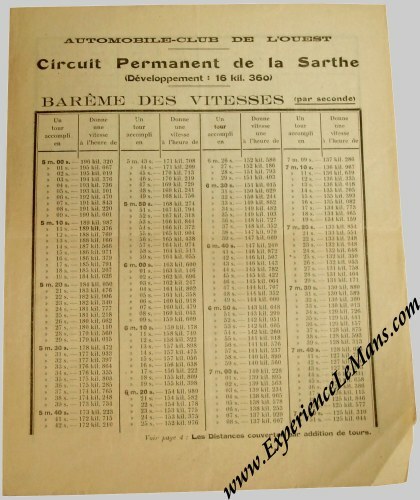 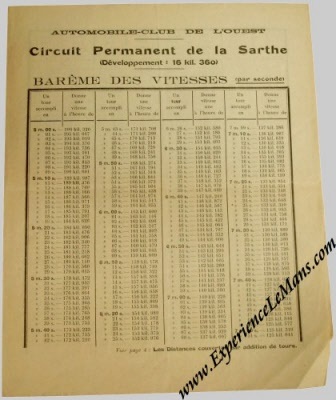 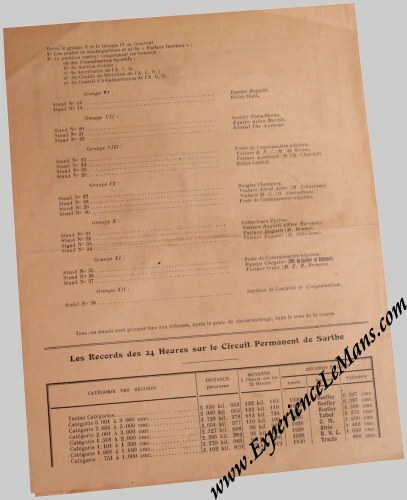 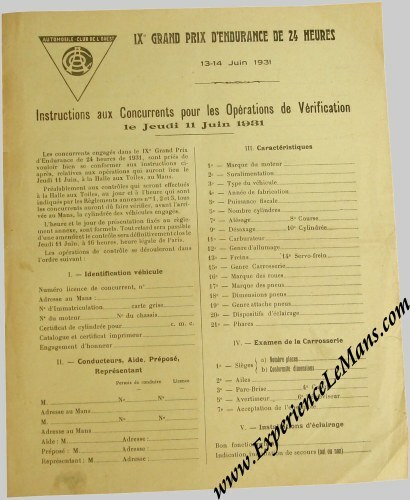 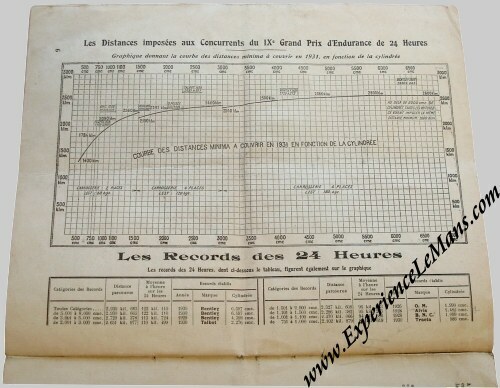 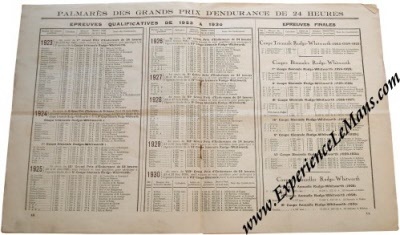 For the full results of this race, please see 24 Heures du Mans results 1931. 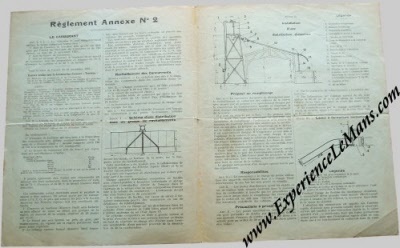 We are inviting serious offers on this set through info@experiencelemans.com. Vintage 1949 Le Mans 24 Hours by Roger Labric and Geo Ham. 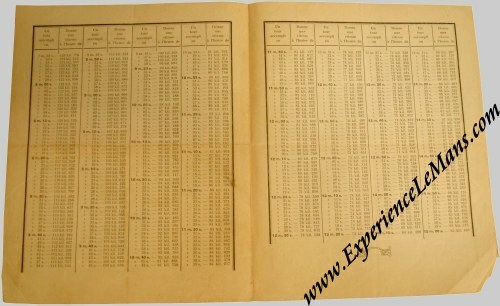 This book, issued in 1949 by the A.C.O. 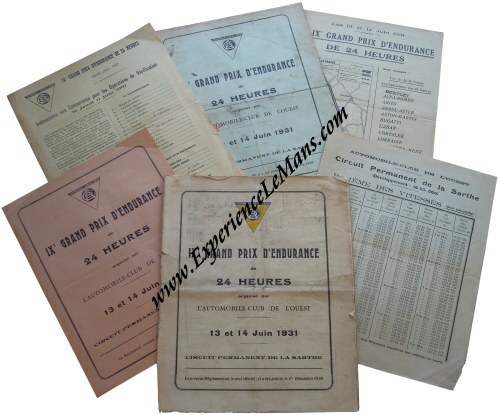 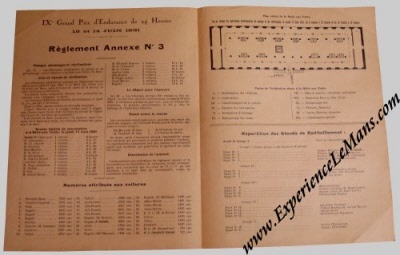 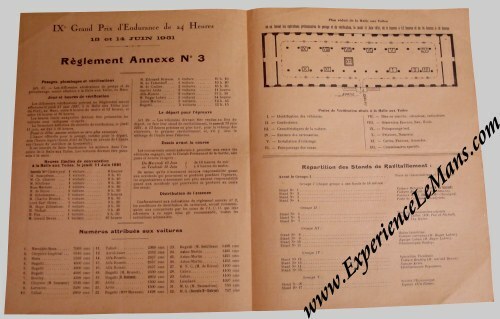 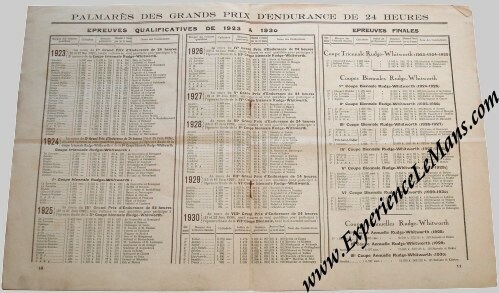 (organizing body of the 24 Heures du Mans), if often considered as THE prized possession for serious Le Mans collectors. This is one of the VERY few surviving NUMBERED copies! As a matter of fact, this number 528 of the 1000 numbered copies that were issued. 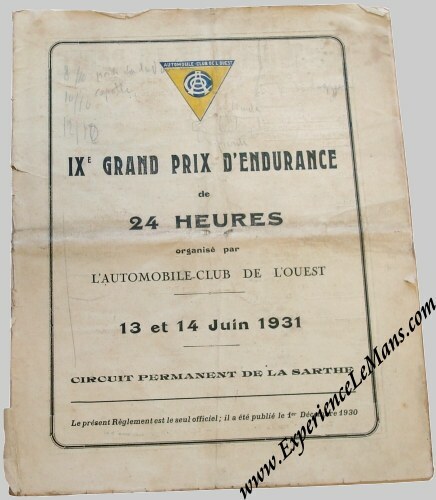 VERY scarce as in our 15+ years of trading Le Mans memorabilia, this is the very first one we ever managed to source! 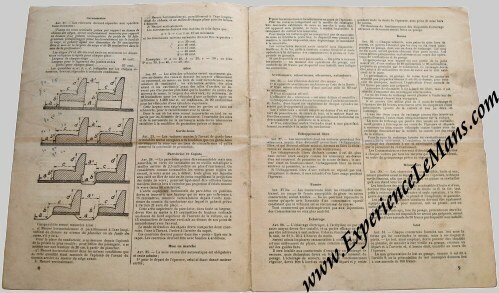 We are very proud to be able to offer for sale this book which survives in excellent condition for this book despite its slightly weak binding. 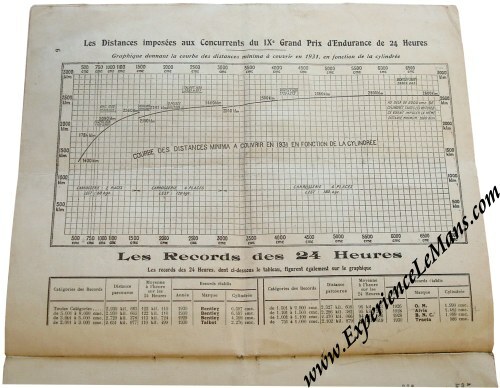 Being a BIG book, some 25 x 32 cm or 10 x 13 inches and 471 pages (it is some 6 cm or 2.5 inches thick!) 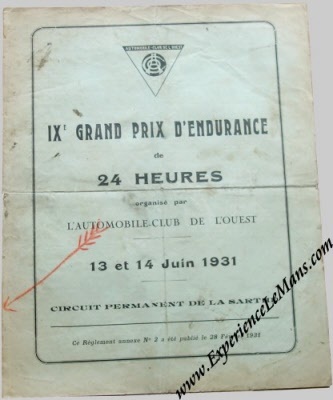 it is a very detailed account of the 24 Hours races as held in the pre WW2 era (1923 - 1939) including stats and reports on the drivers with countless illustrations and portraits by the fantastic artist, Geo Ham (Georges Hamel). 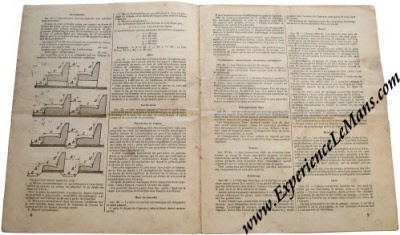 Please note that this numbered edition is actually THICKER than the "regular" version despite having the exact same contents and same number of pages. 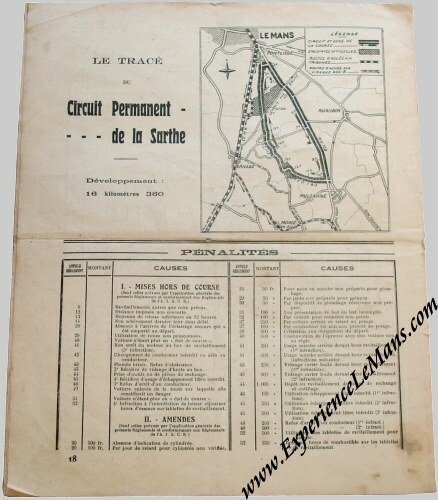 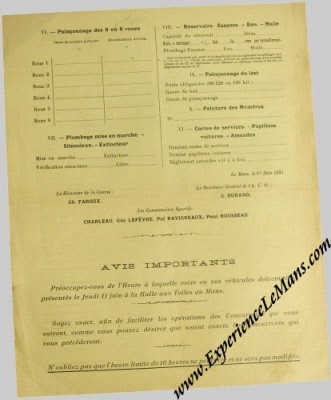 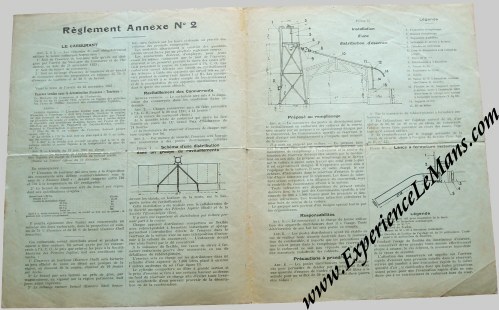 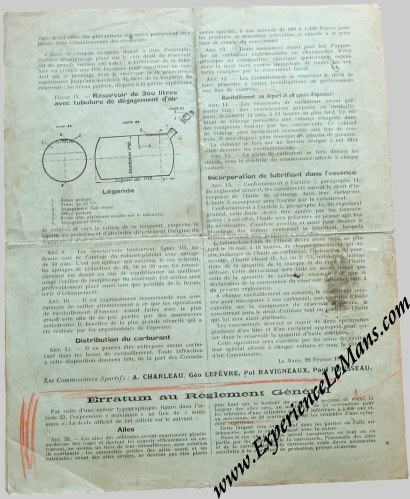 Very, VERY scarce and an absolute "must have" for the endearing Le Mans collector! 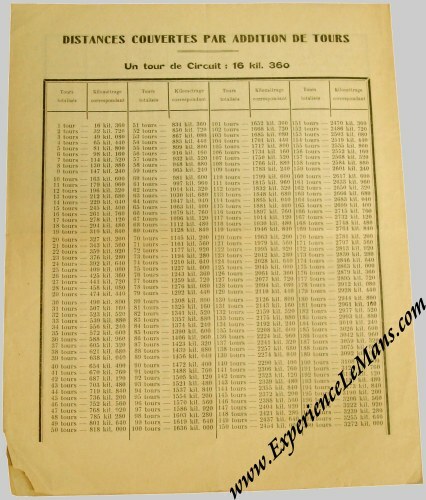 Only 1 available of course !